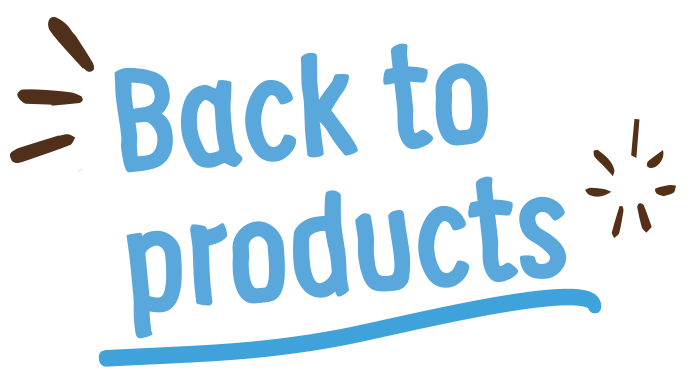 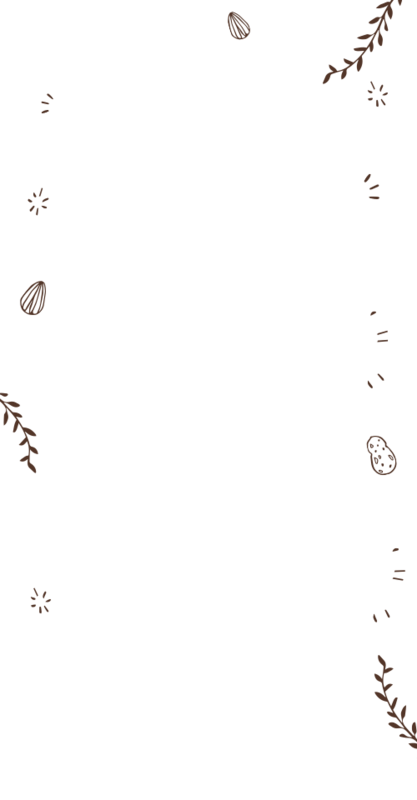 Tasty, healthy recipes for everyday. The bold, rich flavours of Mayver’s Dark Roasted Crunchy Peanut Butter makes it tantalisingly irresistible for the ultimate peanut butter connoisseur. 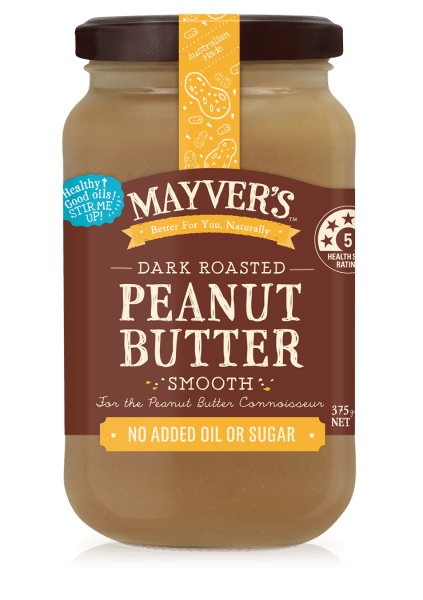 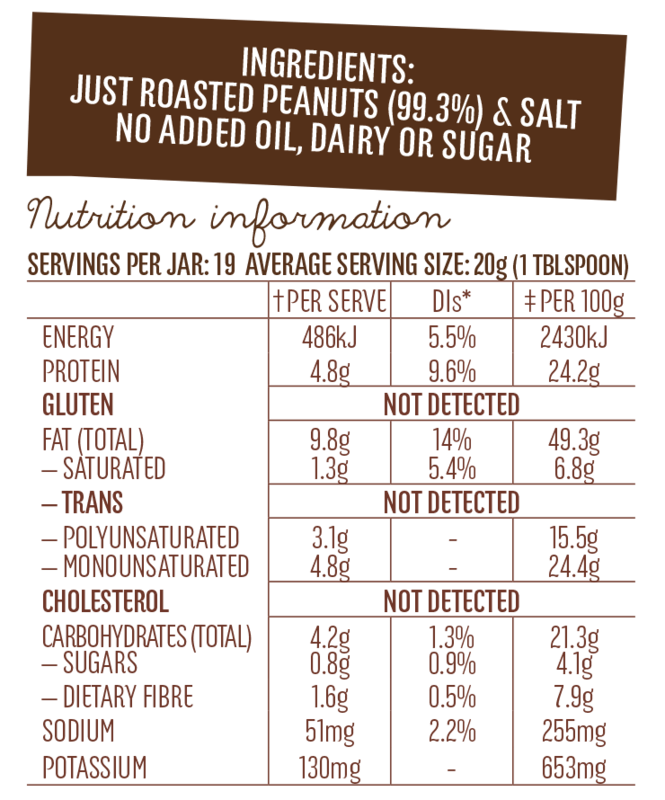 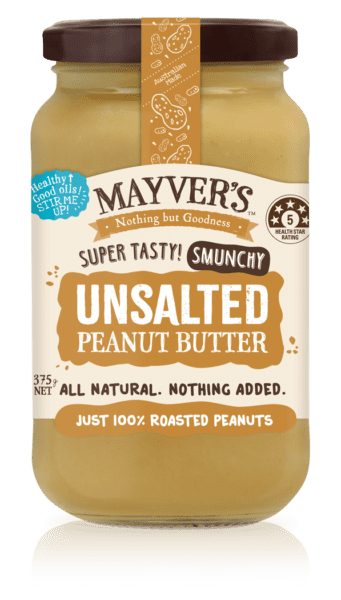 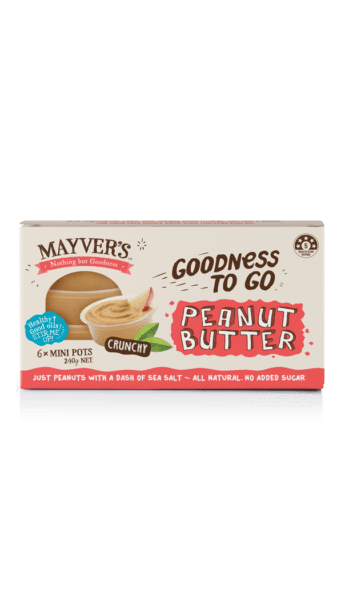 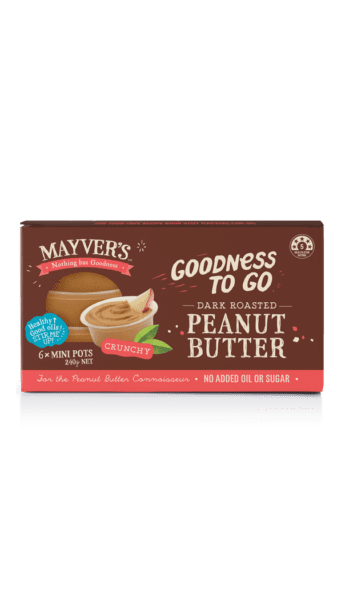 Like all our other Mayver’s natural spreads, it is made in Australia from nothing but the finest peanuts that have simply been roasted to perfection and blended with sea salt for a delicious extra zing! 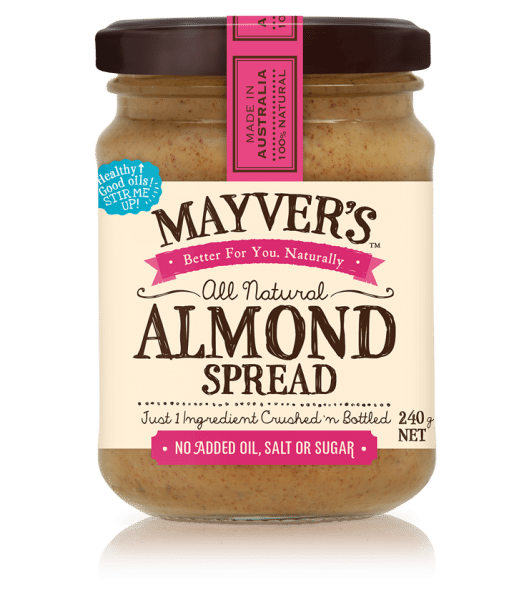 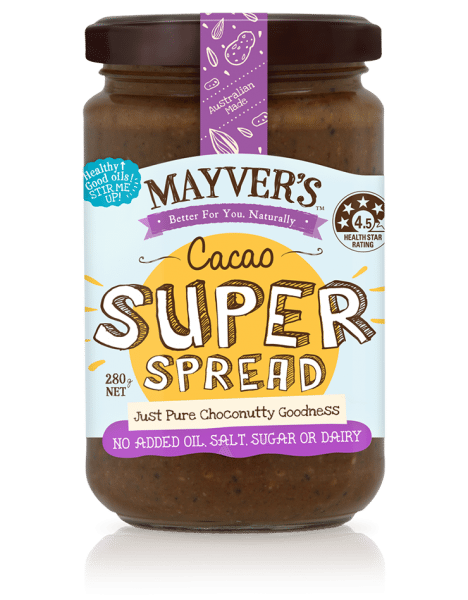 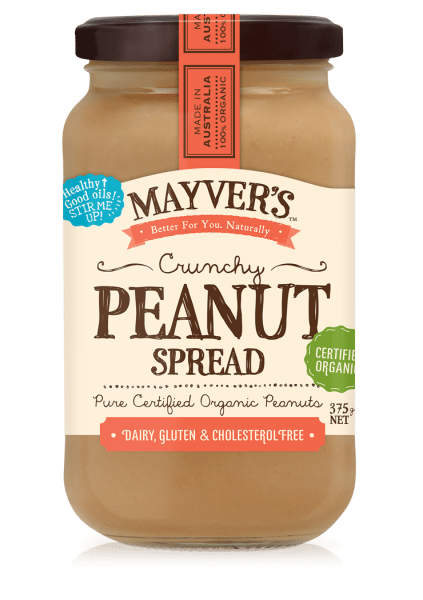 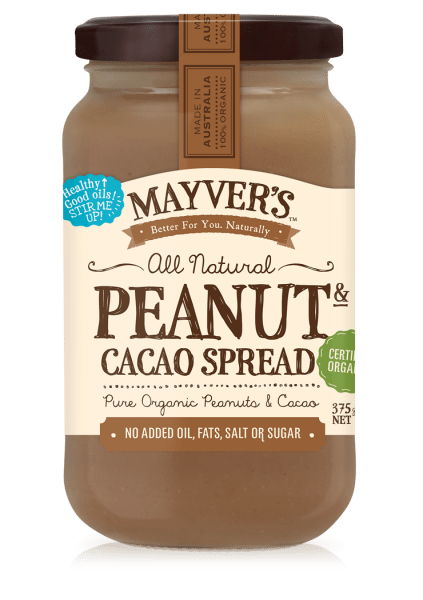 Try our other super-tasty Mayver's spreads!